After 4 long years our “nightmare” is over and Jack Bauer has finally returned. Forget the rumors of a movie, though. Jack is back where he belongs: on television, in a new 12 episode series. The series will cover a full 24 hours and remain in real time, however episodes might have gaps in between them as opposed to the more rigid structure of the original seasons. It’s surreal for me, to be honest. I religiously watched each of the 8 previous seasons and the show has remained one of my favorites, even in the lesser seasons. 24 was a seminal television program of the aughts, and few shows were as stylistically distinctive, as thematically relevant (politically and socially), and as, well… awesome. Forget Jason Bourne, James Bond, and the many superheroes who donned suits throughout the 00s. Jack Bauer was the definitive action hero of our time and he is back. This new season of 24 picks up 4 years after the events of the finale of Season 8, which saw Jack Bauer on the run and wanted by both the Americans and the Russians. Bauer has always walked a fine line between right and wrong, and that is because he will do whatever it takes in order to protect his country. Some could argue that he is misunderstood. Others would say that truly doing what is “right” also means making the ethical and moral decisions and playing by the rules. For Bauer, there are no rules. It is this idea that we jump right back into as we begin “Live Another Day.” The premiere begins in a marketplace in London as we meet CIA Agent Erik Ritter (played by Gbenga Akinnagbe of “The Wire”). He and his team of other hidden agents are making their way through the market as they approach a warehouse that holds “the target.” Astute viewers who are familiar with the 24 formula and what this grand return to TV means should be able to identify that the aforementioned target is Bauer, who is mysteriously on the grid for the first time in four years. Ritter and his team successfully capture Bauer. Back at CIA’s London headquarters (does this really exist? ), Agent in charge Steve Navarro (Benjamin Bratt) argues with Agent Kate Morgan (the lovely Yvonne Strahovski of “Chuck” and “Dexter”) over Bauer’s intentions. Navarro, perhaps naively, believes that they simply got lucky and outsmarted Bauer. Kate, who is in her final week at this branch of the CIA and is thus not taken seriously, believes that Jack wanted to get captured. Anybody who is familiar with Jack Bauer knows that Kate is probably correct. This is the struggle that plays out over the first half of this premiere, and what makes things even more complicated is the reason why Kate is on her last week at CIA London. Her husband was caught selling US secrets to China, and the fact that Kate, a spy, was unable to detect this is an embarrassment for everyone. Erik constantly holds this over her head as they struggle for power. What is most remarkable is how, for better or worse, the show instantly feels like itself. Although it has been off the air for 4 years, director Jon Cassar, the writers/producers, DP Jeff Mygatt, returning composer Sean Callery, and the cast are able to almost instantly recapture that 24 feel. The intensity, split screens, countdown clock, anger, and intrigue is all intact. Some shows that make a return after years off the air never quite feel like themselves. 24: Live Another Day effortlessly feels like just the next season of 24, and it is a compelling and exciting beginning. Perhaps the most excellent part of the first half of the premiere is Jack Bauer himself. For the first 45 minutes of the hour, Bauer is completely silent. Jack Bauer has become Kiefer Sutherland’s signature role, and even without speaking he brings immense feeling and gravitas through his steely gaze and rigid posture. As Navarro attempts to interrogate him to find out just why Jack is in London (they think he is planning an attack on the President’s life, who is in London for a peace talk), Jack barely even blinks. His heart rate is steady. He doesn’t miss a beat. Kiefer is incredible. What about the President? 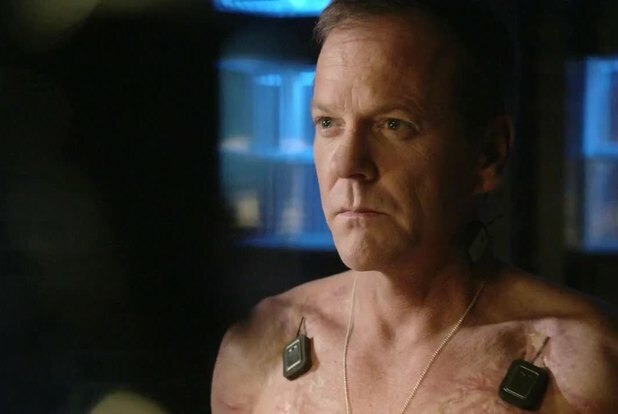 24 wouldn’t be 24 without a portrayal of the President of the United States, and in one of this new season’s smartest tricks they have brought back an old character to serve in this capacity. Now, former Secretary of Defense James Heller is President James Heller. Heller has been diagnosed with a disease (although not mentioned, I assume it is Alzheimer’s) and William Devane’s performance is lovely. Bringing Heller back into the fold also allows us to reconnect with his daughter Audrey (Bauer’s former girlfriend), who when last seen had essentially gone crazy and did not handle Jack Bauer’s transgressions well. We also meet Chief of Staff Mark Boudreau (played by the reliable Tate Donovan, who I can’t believe has never been on 24 before) who is also Audrey’s husband. Bourdreau becomes aware that Bauer has surfaced in London, and he does not want anybody else (especially Audrey) to know. In fact, he is even considering handing Bauer directly over to the Russians. I have a feeling that Boudreau may not be a nice guy. The POTUS and his team make for a nice counterpoint to the intensity of the scenes with Jack, and I look forward to seeing how their narratives coincide and if Audrey does eventually become aware of Jack’s presence. The other major reveal of the first half of the premiere is regarding just what Jack was doing in London, and in the CIA office in particular. Kate was right. Jack was captured on purpose. Over in “special activities” (where the torturing occurs and where Boudreau wants Bauer to be placed), which is adjacent to the CIA’s office, sits Chloe O’Brien, adorned in “Girl with the Dragon Tattoo-esque” attire, being tortured for information. Jack has planned an escape, and although Chloe is shocked to see Jack, she goes along with it. The scape is a stunning action sequence involving chases through corridors, an incredible expanding ladder, and a rocket launcher. This is awesome stuff. Earlier in the episode we were introduced to an American drone pilot, Chris Tanner (Attack the Block’s John Boyega), stationed in London. In the end of the first episode Tanner’s drone is hacked and overtaken by someone, and American forces in Afghanistan are attacked by this “friendly fire.” This thread leads directly into the second episode as we begin to discover more of Live Another Day’s secrets. While Tanner is being interrogated (he cannot convince anybody that his drone was hacked), we learn that Jack had an ulterior motive for rescuing Chloe. She is connected to a group of hackers, headed by Adrian Cross (the fantastic Michael Wincott), and one of their former members has plans to assassinate POTUS. This hacker, Derek Yates, also just so happens to be the man who hacked Chris Tanner’s drone. He has plans to sell his drone hacking device to Margot (Game of Thrones’ Michelle Fairley, perhaps the season’s main villain?) who has personal reasons and intense passion. As the second episode progresses more pieces come into play as Chloe agrees to help Jack track Yates to where he is hiding out. Meanwhile, Kate and Erik are hot on Jack’s trail and it all comes to a head in a spectacular extended action sequence set in a London project. Jack has a classic standoff with a Guy Ritchie-esque character named Basher, and it is a “fist pump” moment that reminds audiences why they loved Jack Bauer so much in the first place. We also meet the Prime Minister of England, played by none other than the remarkable Stephen Fry. Upon learning of the drone attack, he leaves POTUS Heller and is clearly upset. There are some unusually affecting/touching moments (for 24, that is) as Heller and Boudreau argue over whether Heller is capable of handling himself in front of British Parliament considering his health issues. Devane’s performance in these scenes, as he practices for the “inquisition,” is superb. Furthermore, Heller asks that Tanner be brought directly to him. Will Tanner be cleared of the actions that the audience clearly knows he did not commit? I hope so. Boyega is likable in this role and does a convincing American accent. The episode comes to a close with the murder of Derek Yates and the theft of the device by his supposed Eastern European girlfriend, who is actually in disguise and the daughter of Margot. The plot thickens and many threads are left up in the air as the constantly propulsive nature of 24 never allows for threads to close on an episode by episode basis. Will Kate and Erik catch Jack or end up working with him to stop the proposed attack on Heller? Will Jack and Audrey cross paths? Will Jack and Chloe reconcile (the look on Jack’s face as Chloe says that she is his friend is amazing)? Will we discover just what exactly Jack has been up to for the last 4 years and why, despite being wanted by his country and considered a traitor he is still willing to fight for the safety of Heller? All of this and more will become clear over the next 10 episodes, and I cannot wait. 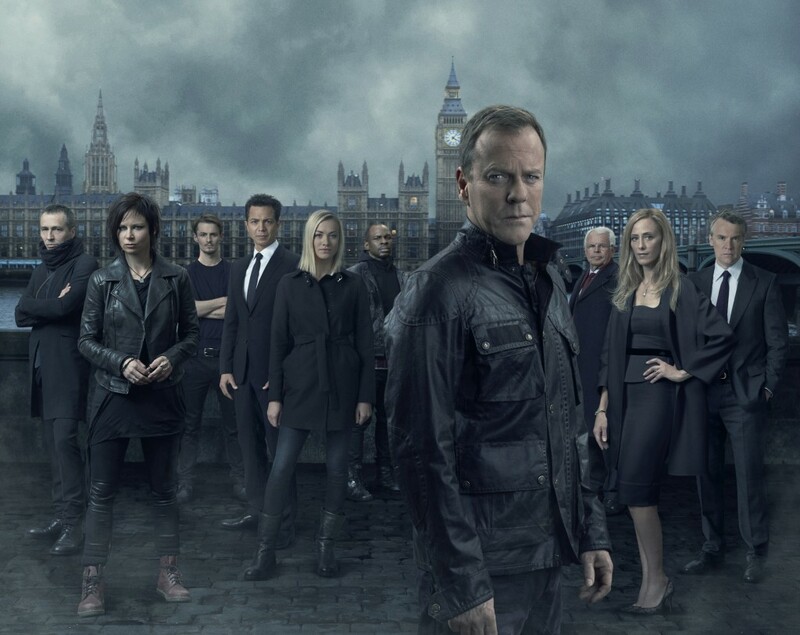 24 is back and it is rather good. Also check out the 24: Jack and Chloe Adventurecast, a 24: Live Another Day podcast that I co-host here or subscribe to it on iTunes.